Since the 2016 election, college campuses have erupted in violent protests, demands for safe spaces, and the silencing of views that activist groups find disagreeable. Who are the leaders behind these protests, and what do they want? 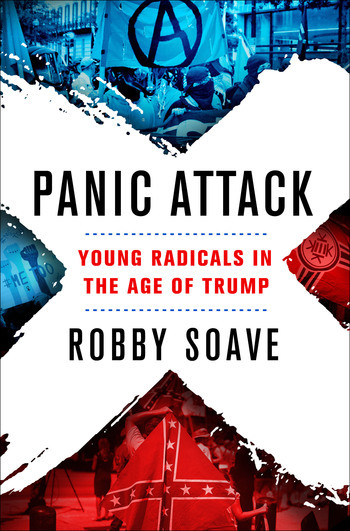 In Panic Attack, libertarian journalist Robby Soave answers these questions by profiling young radicals from across the political spectrum. Millennial activism has risen to new heights in the age of Trump. Although Soave may not personally agree with their motivations and goals, he takes their ideas seriously, approaching his interviews with a mixture of respect and healthy skepticism. The result is a faithful cross-section of today's radical youth, which will appeal to libertarians, conservatives, centrist liberals, and anyone who is alarmed by the trampling of free speech and due process in the name of social justice.